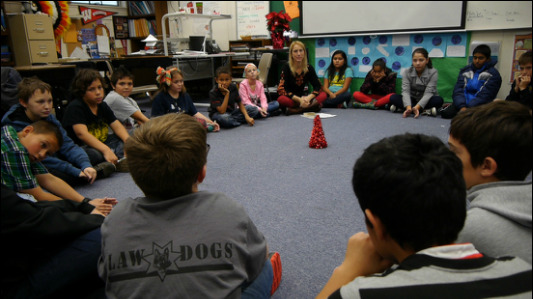 Restorative Resources is a Sonoma County nonprofit that provides restorative justice services and training within our schools, local agencies and community institutions. Key to the process is the “circle dialogue”, a discussion practice that nurtures an atmosphere of respect, compassion and integrity as a way to help people with disparate opinions and perspectives “talk it out” safely. So how does it work? It begins with finding a space where everyone feels safe enough to speak their mind. First, form a circle.If your discussion includes more than 1 or 2 other people, choose to sit in a circle formation, so that everyone feels equally included in the process. Check your rage at the door.Unconscious fear and anger can derail any discussion. Wait until strong feelings have died down enough that the discussion can proceed toward a reasonable outcome, not as a response to over-whelming emotion. It’s important to remember that everybody has a right to their feelings and percep-tions, whatever those might be, and nobody should feel ashamed or afraid to express themselves as individuals with their own needs – providing they do so with the utmost respect for everyone in the circle. How you listen and respond makes all the difference. Morale is down. Rumors are flying. Everyone seems to be unhappy, but nobody wants to step forward and talk about it. So how do you turn that around? 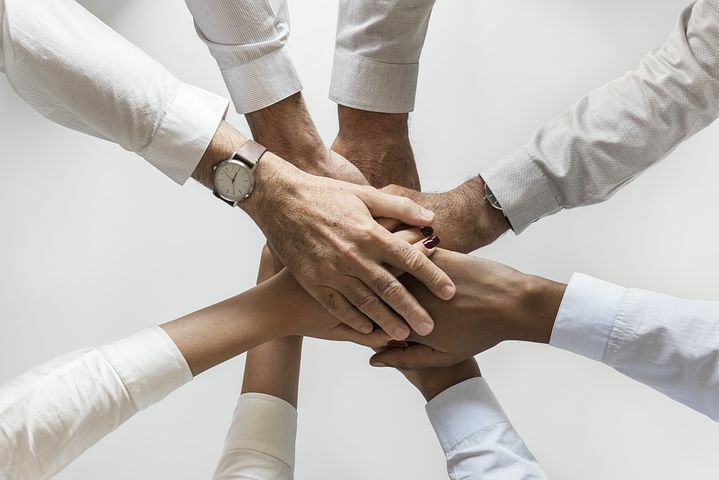 Begin with a more restorative approach to your workplace environment, based on attributes of inclusion, equity, mutual respect and personal accountability. 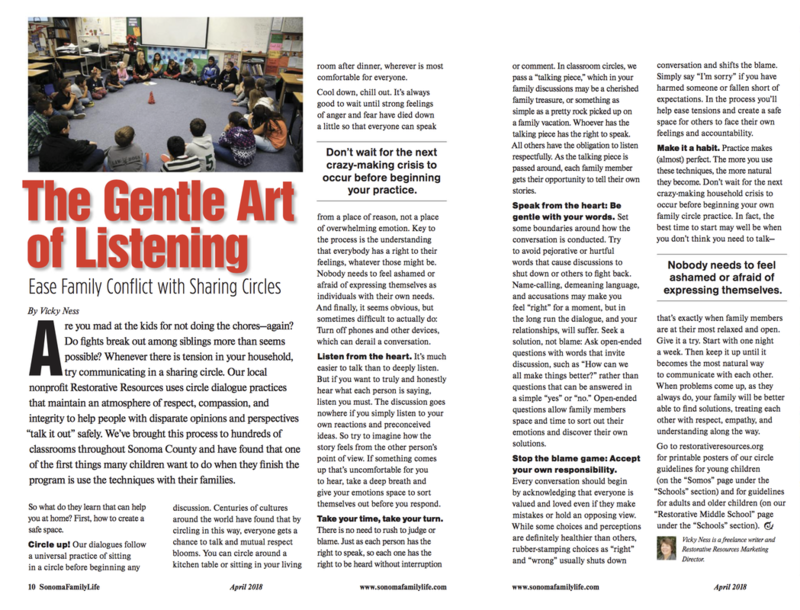 At the core of this practice is what is known as “restorative dialogue”— a conversation that ensures all voices are heard and issues are addressed with honesty and compassion. At Restorative Resources, a Sonoma County nonprofit dedicated to creating respectful and productive dialogue models, the following process creates a simple, solution given one-on-one discussion. In the case of a more complex group meeting, you might need a trained third party who can facilitate fairly. So, how do you lead restorative dialogue? Here are a few simple steps to help you get started and manage conflict. Read Chad's full blog HERE. A new generation of social activists are rising in Sonoma County and across the country. The insight, passion and individual gifts they have to offer is, of course, invaluable if we are to continue to grow and thrive in our community. But many of our youth have been marginalized and, in the process, have forgotten their own intrinsic value and the important place they hold in society. They have, in effect, been silenced. A new rite of passage might be in order to help guide and support all our youth but most especially those who may be affected by toxic effects of discrimination or violence and, as a result, are at risk of causing further harm to their community and themselves. So what would a new rite of passage look like for those youth who are struggling? A circle of love begins and ends with community joining hands. We were thrilled to be a part of the 2nd Annual LGBTQI Family Formation Symposium at the Social Advocates for Youth (SAY) facilities. It was a full day of education, advocacy and community building, including an amazing lineup of speakers. We were able to interact with all ages of attendees, because both parents-to-be and existing LGBTQI families came to the event and were eager to hear about our work. Our staff attended the Los Cien State of Latino Education in Sonoma County luncheon on Friday, January 26.! It was inspiring and motivating to hear Diann Kitamura, current superintendent of Santa Rosa City schools, Dr. Judy Sakaki, president of Sonoma State University, and Dr. Frank Chong, president of Santa Rosa Junior College speak on important topics affecting or Latino students and more! Great mention of Restorative Practices being a focus for SRCS! Check out the Press Democrat story about the new Restorative Resources elementary to middle schools programs. As director Susan Kinder says, "It’s a good age to start working with them. They’re more impressionable." Our new Somos Circles program has launched in select fifth and sixth grade classrooms in Sonoma County schools. 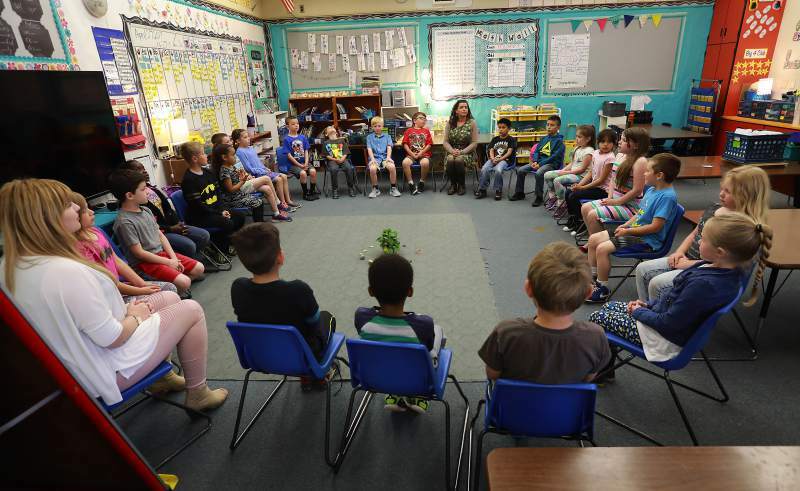 For background on the program, funded in part by the new $900,000 Title II grant awarded to Restorative Resources, check out this news story: "Restorative Justice Comes to Sonoma Schools." 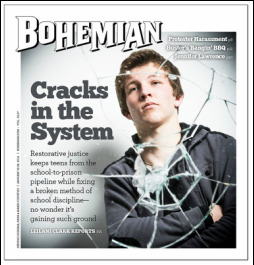 The Bohemian focused their in-depth cover story on Restorative Resources and our schools programs in Santa Rosa. Writer Leilani Clark enrolled in our Intro to Restorative Justice training and interviewed staff members, school board members, probation department staff and, most importantly, the youth whose lives have been changed in our programs. It's a must read, check it out here. 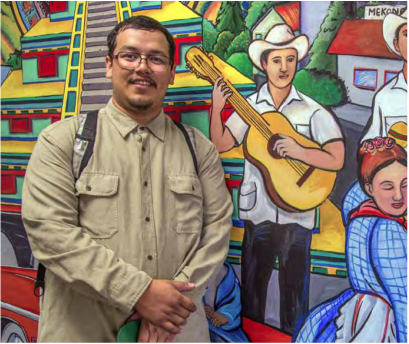 Press Democrat writer Kerry Benefield observed Restorative Resources in action and interviewed one of our program graduates whose expulsion was overturned by the Santa Rosa School Board. "Some Santa Rosa schools explore alternatives to student suspensions"
"Santa Rosa school district working to cut high suspension totals"
On March 8, the Sonoma County Board of Supervisors adopted a Gold Resolution "commending Restorative Resources for their service to Sonoma County schools and youth." It was a wonderful opportunity to show our county-wide collaboration between schools, Sonoma State University, law enforcement, community-based organizations, community volunteers, and our county and state government. 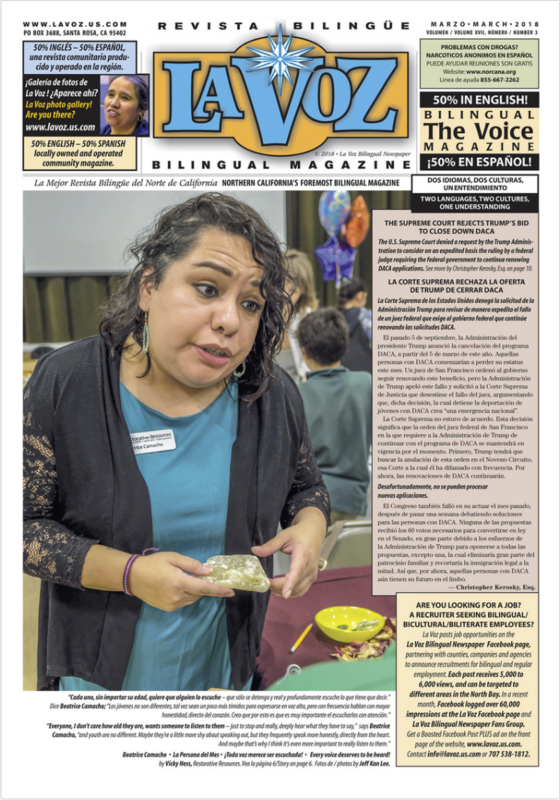 Check out the La Voz cover stories spotlighting the work of Restorative Resources in the Latino community and a profile of Karym Sanchez. Two SSU psychology students teamed up with Restorative Resources to host a campus forum on restorative justice. 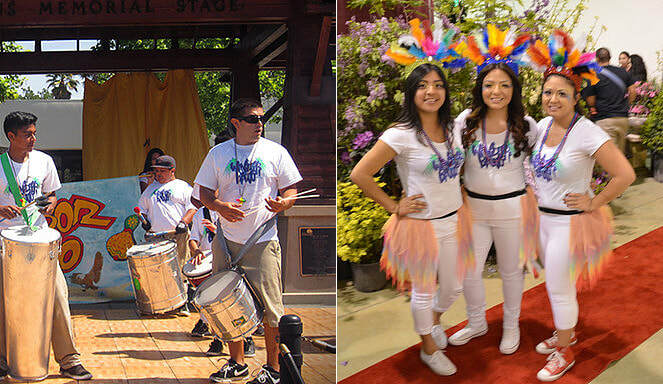 Check out the Sonoma Star story here. The Metta Center for NonViolence invited Restorative Resources director Susan Kinder to talk about our program on their latest podcast. Listen below, as Susan points out how restorative justice is really about us "being human together." 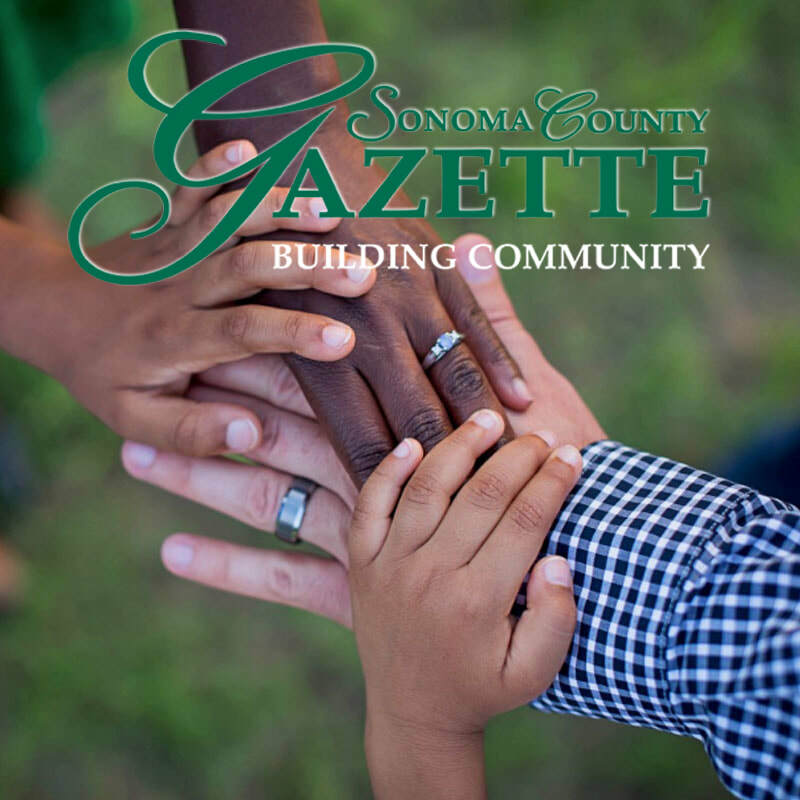 On March 15, 2016, the Sonoma County Board of Supervisors unanimously approved $200,000 for Restorative Practices initiatives as part of the final funding for the recommendations from the CALLE (Community and Local Law Enforcement) Task Force. The first initiative provides $100K in seed financing for the Sonoma County Office of Education to lead a countywide Restorative Practices program in our county schools. The second $100,000 CALLE initiative is for Restorative Dialogue circles in 7th and 8th grade classes across Sonoma County. This landmark vote on the part of our Board of Supervisors reflects the community-wide growth and support for the powerful possibilities of the practices and principles of Restorative Justice. We thank all of you who support the work of Restorative Justice for helping make this dream a reality! 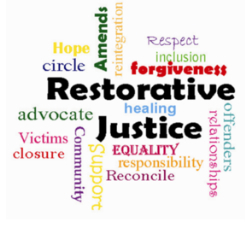 For a concise overview of restorative justice concepts and our goals in the community - read the story here. Our "Close to Home" op-ed in the Press Democrat shows the success of restorative programs in Santa Rosa schools. Sonoma State criminology professor Pat Jackson recently completed a study of the restorative justice programs at Cook Middle School and Elsie Allen High School. He cites a continued drop in expulsions and suspensions and an overall positive change in school climate at both institutions. Jackson also notes how "students from both schools appeared to appreciate the change in management of discipline. One said that before restorative justice came, administrators 'would just ask the teacher what happened...Sometimes they wouldn’t even ask me.'" Here's a summary of the study. Restorative Resources staff joined with students, teachers and community members to plant a garden in memory of Andy Lopez and others who have been lost at Cook Middle School. Inspired by the work at Restorative Resources, a group of pioneering Santa Rosa High student leaders has created SURJ - Students United for Restorative Justice. Check out their Facebook page to view the video produced by student filmmaker Sunce Franicevic. The Santa Rosa City Schools Board of Education voted to approve a contract with Restorative Resources to fund a pilot program for restorative justice suspension diversion at Elsie Allen High School and Cook Middle School. Read the Press Democrat story and a great Press Democrat editorial. Over a hundred of the most influential leaders in Sonoma County gathered Feb. 21 at the Hilton in Santa Rosa to show their support and discuss how to expand restorative practices in the region. Along with Restorative Resources, Sonoma County Supervisors Mike McGuire and Shirlee Zane hosted the event that included educators, mayors, prosecutors, public defenders, judges, police chiefs and officers, sheriff's deputies, probation officers, county administrators, nonprofit executive directors, school board members, social activists and many more. After several inspirational speeches, the group watched two short films - one on restorative justice in schools and another on the Restorative Resources adult pilot program. After each film, tables convened in roundtable discussions and then shared their findings with the larger group. The overall reaction was resounding support for the pilot programs and for expanding their reach. The next step will be to clearly define how each entity will play a unique role in supporting and fostering restorative justice in Sonoma County.